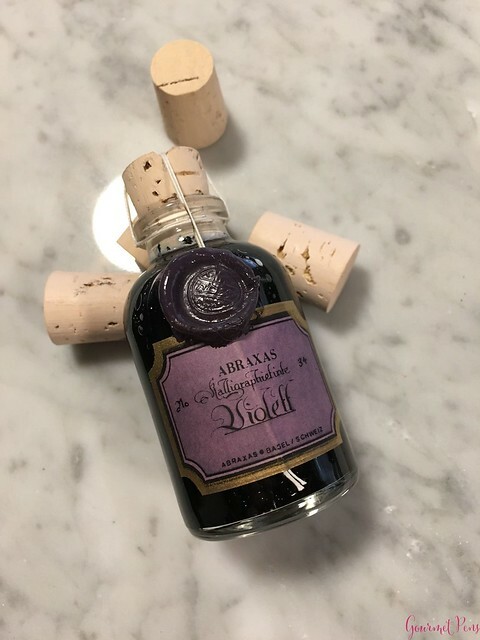 Laywine's is carrying a new ink line from Switzerland - Abraxas Inks! 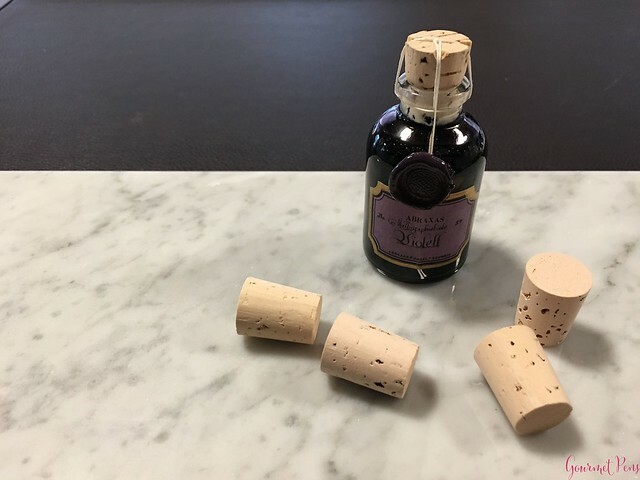 They come in cute little bottles with corks and wax seals. 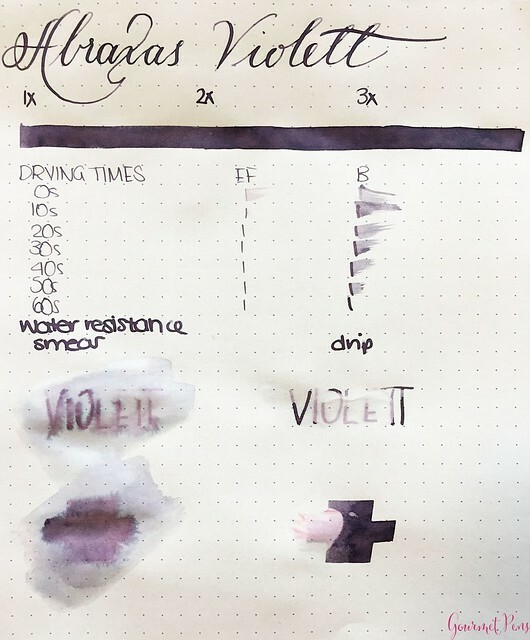 The four inks I have tested are all scented, and there are many more colours in the lineup. You can contact Laywine's for more details or to purchase your own. 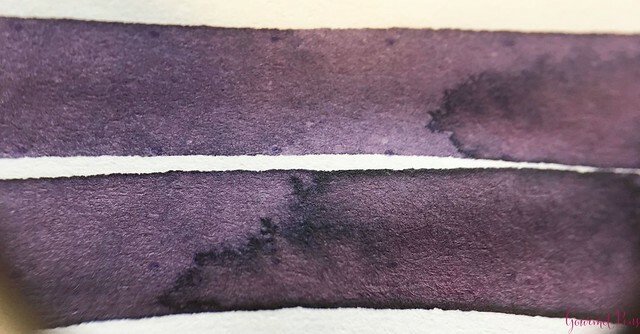 They're premium inks with a hefty price tag of $29.00 CAD + applicable taxes. 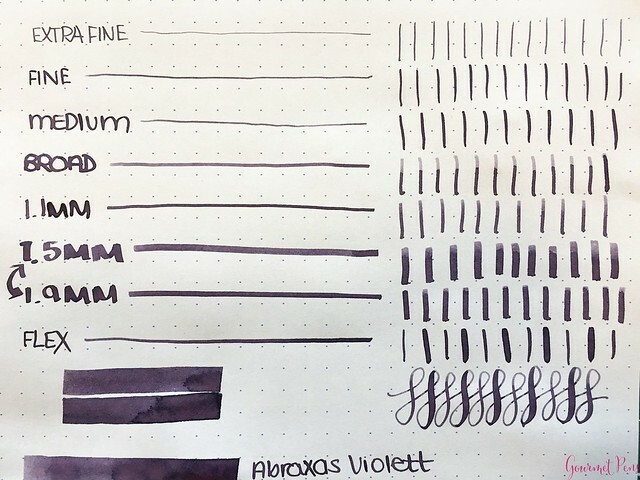 Abraxas Inks describe these inks as the Classic Line, available in many colors - some are safe for fountain pens and others are not. These ones are! Thanks to Laywines for sending this for review! 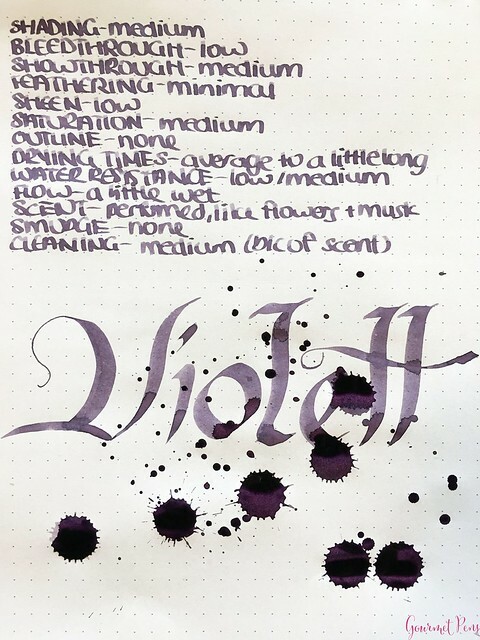 Light scent is a treat - it's not gross and it doesn't stick in your pens long after cleaning. 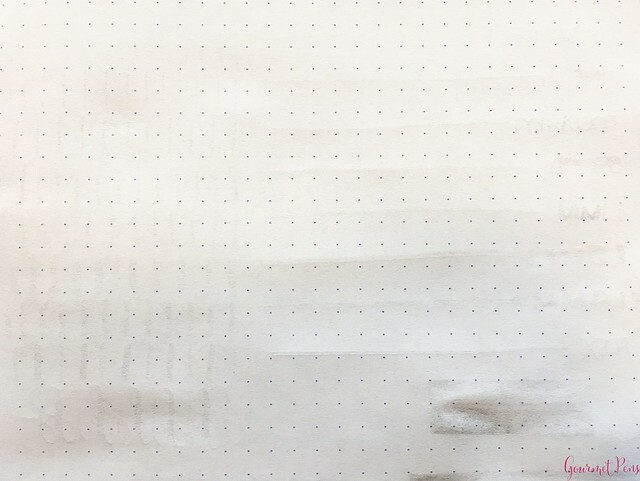 Very elegant presentation! Classy as heck. What a gorgeous gift this would be, both for a friend and for yourself! Pretty expensive for such a small bottle. Cork is a pain to replace once you have uncorked it. 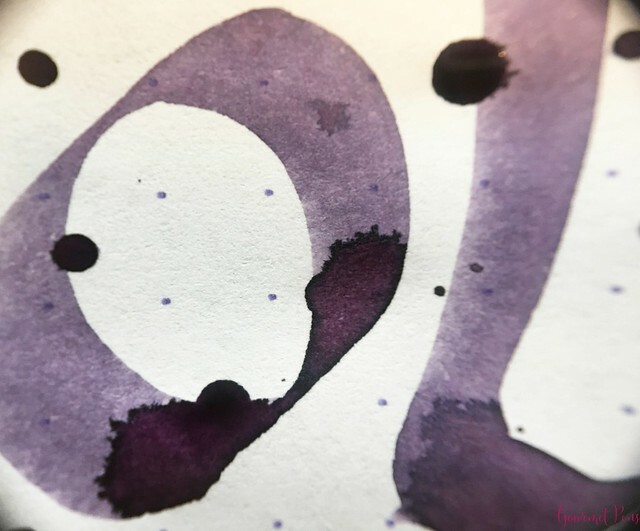 Bottle mouth is not very wide so it can be difficult to fill larger pens from. 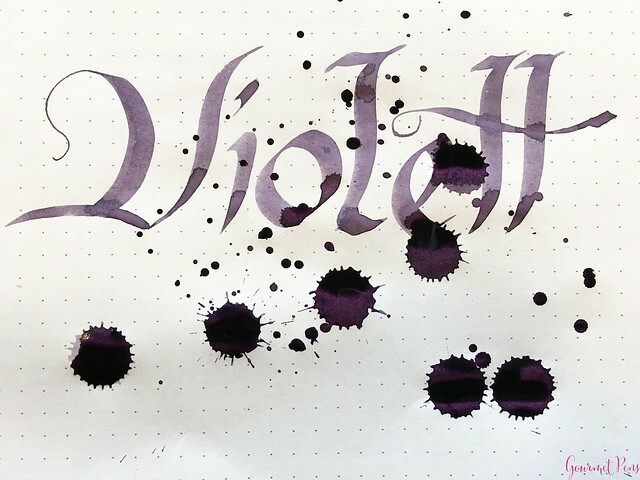 This is a beautiful violet with lovely shading and gorgeous presentation. 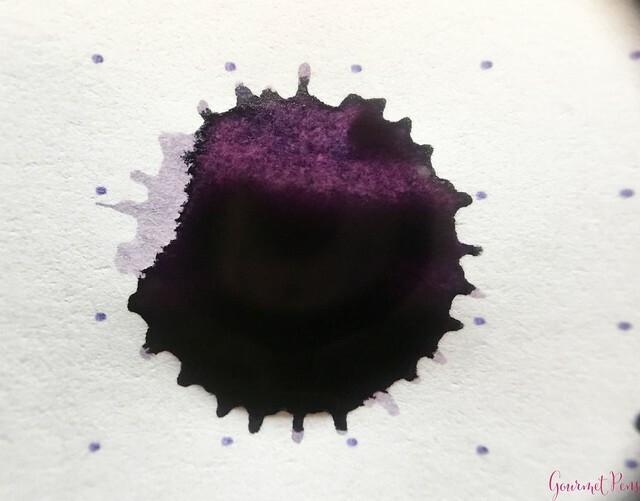 These inks are premium, spoil-yourself inks, with their classy presentation, light scents, and hefty price tag. The bottles themselves are not ideal for filling from, especially if you have larger pens. 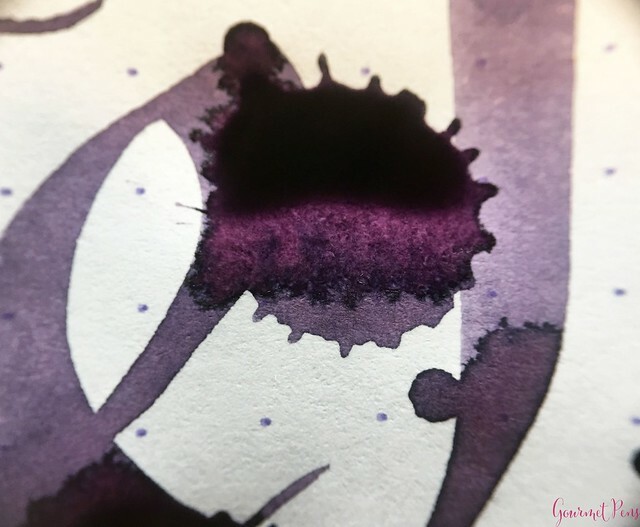 It's sort of a silly ink in terms of price and practicality, but it's always fun to try new inks. 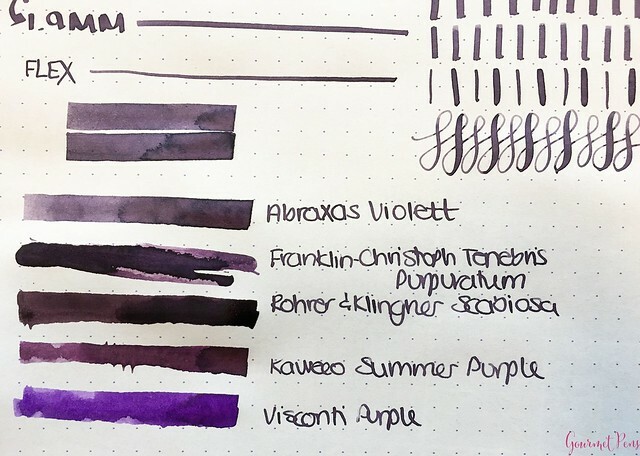 I think this would be an excellent gift or treat, but not a daily use ink based on the price and bottle size.